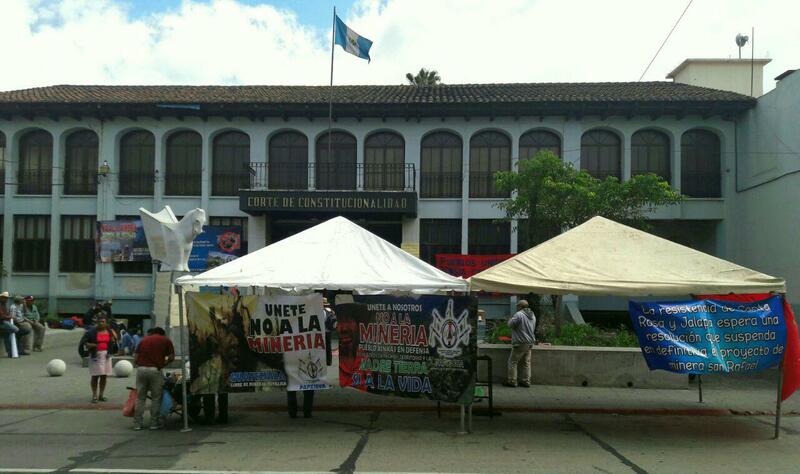 Members of the Peaceful Resistance Camp in Casillas have created a second camp in front of the Guatemalan Constitutional Court. They arrived one week ago and will remain until court justices make a decision on the permanent closure of Tahoe Resources’ Escobal mine. 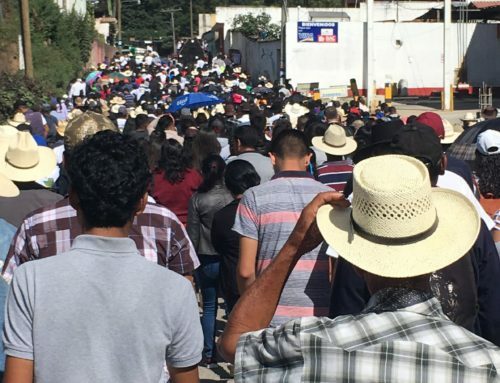 The Peaceful Resistance in Casillas is made up of groups from at least 6 municipalities in Santa Rosa & Jalapa who have been peacefully protesting the negative environmental impacts of the mine 24-hours a day in Casillas, Santa Rosa in since June 7 . 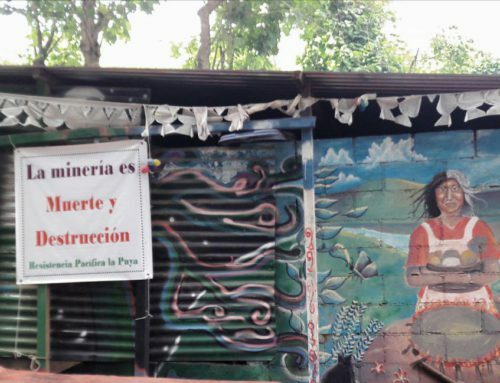 Pablo Hernández, resistance member from San Rafael Las Flores told NISGUA, “we are [in front of the Constitutional Court] and in Casillas because we want the mine to close. We are farmers who cultivate coffee, onions, chiles, corn and beans. This is how we live and what has always been our livelihood. The mine is not right for us because it pollutes [our land] and we want our land free of pollution”. 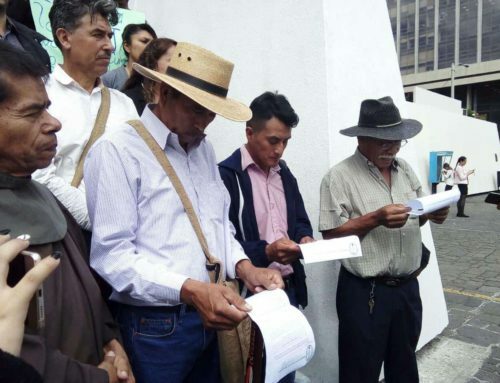 The Guatemalan Supreme Court temporarily suspended Tahoe’s license to operate the Escobal mine in early July as a precautionary measure while courts decide if the Xinca people were discriminated against and if their right to free, prior and informed consent was violated. Plaintiffs, including the Xinca Parliament, the Centre for Environmental, Social and Legal Action (CALAS) and mayors from 5 directly impacted municipalities gave their arguments on August 28. 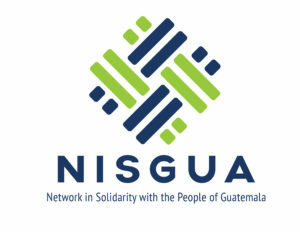 On September 8, the Supreme Court determined that the Xinca people’s right to consultaton was violated. 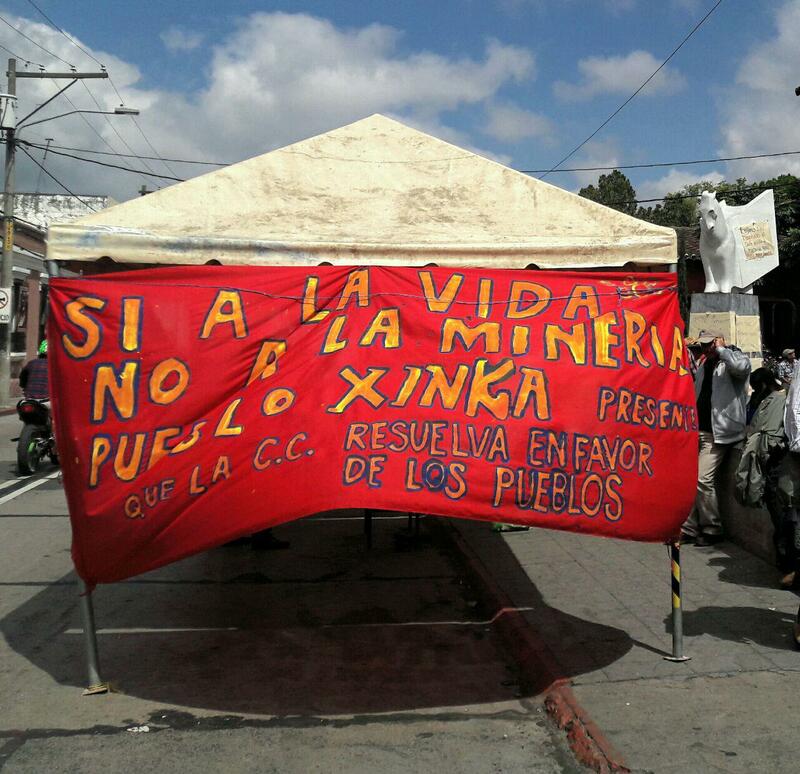 However, rather than ordering the permanent closure of the mine as a result of this illegality, they ordered the Ministry of Energy and Mines to conduct a consultation in Xinca communities post factum, during which time the mine would be allowed to resume operations. CALAS and the Xinca Parliament immediately filed an appeal before the Constitutional Court which was expected to make a decision last Monday. 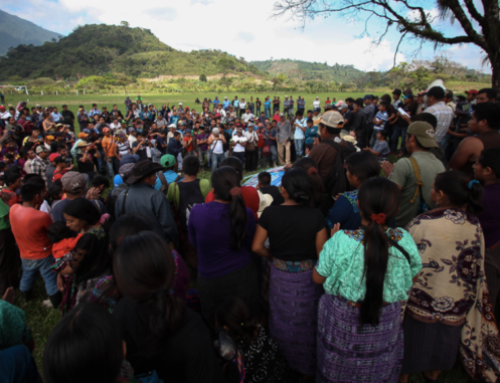 Tahoe Resources and their supporters have been lobbying the U.S. government to pressure Guatemalan courts in their favor and in violation of communities’ right to self-determination. 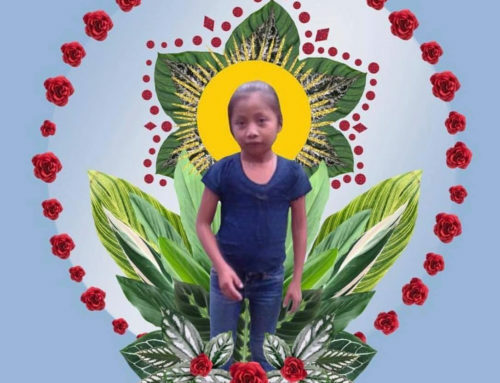 Sign this action & help us stop U.S. Congressional representatives from lobbying the U.S. government on behalf of abusive corporations like Tahoe Resources operating in Guatemala!